Who'd have thought a humble chocolate bar would have created such a stir on the DYR website? 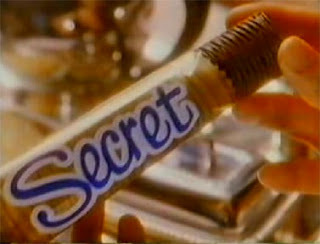 It seems people are still salivating at the thought of Nestle's Secret Chocolate Bar. So far we have had over 230 comments added on the site from Secret Chocolate Bar addicts who still seem to be suffering withdrawal symptoms. One of DYR's visitors has set up a petition calling for the return of the Secret Chocolate Bar and hundreds have people have signed up already. If they get enough signatures, maybe Nestle will bring it back. After all, a petition to bring back the Wispa bar persuaded Cadbury's to begin production again. we love the secret bar !!! bring back the secret bar !!! bring back the secret bar !! !we love the secret bar !!! I AM EXPECTING A BABY AND SECRET BARS ARE MY CRAVING.PLEASE BRING IT BACK AS I CAN'T FIND ANYTHING THAT TASTES LIKE THE SECRET BAR.I AM ONLY 12 WEEKS GONE SO YOU HAVE PLENTY OF TIME TO GET THEM ON THE SHELVES. i couldn't believe when i saw the secret bar.you have to bring it back.please'please'please.i can taste it already. OMG, was that the one with a kind of 'nest' of chocolate with gooey stuff inside? I can't believe I'd forgotten about them. Yes, bring it back, I say! i miss ramming secret bars in and out of my mouth...oh dear...such a loss to my world!!!!!! Please Please Please bring it back.It was soooooo yummy.I cant believe my mates dint believe me when i said bout secret bar.i started doubting myself. Bring back the secret bar and get rid of the mars bar! but honestly the Mars bar doesn't really make you work rest and play!! So bring it back brng it back bring it back bring it back to me!! Please bring bac the Secret bar. at least u ppl had the pleasure of trying one - i used to drool over the adverts all the time when i was a kid but whenever i asked for one my parents always say no and continued to buy me the same old boring mars bar or twix! Would easily pay 70p for one of these! One summers day I was about 10. A friend came to me and asked whats your fave chocolate! I thought for a bit and said I don't really have a Favourite, though I had seen the new Secret Bar and asked why! And so only to find the next morning a young lad hand me the bar and if I would be his girlfriend....What do you my reply was? please please plesase bring back the secret bar..they were so delicious why didnt someone tell me they were going to be discontinued and id of bought them in bulk! I would just love demolish a box at the min! bring it back i loved them, they did it with the whispa so why not? Bring back the bar.. dont tell anyone. keep it a 'secret'. ha ha ha ha ha ha im so funny. been trying to tell people about them and evryone looks at me funny!! they were amazing!!!!! I feel like you are all a part of my family. We are the ones who know about this. please please please bring it back-why take it away it was so good and nothing else has replaced it!!!!!!!! OMG, my daughter has been asking me for days about this chocolate bar, I used to buy her one after school each day, then looked on the net and here you all are remembering this lovely gooy heaven in a packet chocolate bar. Yes please bring it back. it might just be my hazy memory, but i could have swore it was a 'Cadbury's Secret' not Nestle..? Definately bring it back! I loved it!! i am postinG this for my fiance.PLEASE BRING BACK THE SECRET BAR.SHE NEVER SHUTS UP ABOUT THE THING.WHICH IN TURN IS MAKING ME WANT GET TORE RIGHT INTO ONE. My Brother and I use to go and buy 2 each every night after school, and 'Oh yes' - I can just taste them now!!! BRING THEM BACK, BRING THEM BACK, BRING THEM BACK. BRING THEM BACK!!!! BRING IT BACK PPPPLLLLEEEEAAAASSSSEEEE !!!!!!!!!!!!!!!!!!!!!!!!!!!! This is the best chocolate bar in the world! I will give my first born for another bite!!! please please please please please please please please please bring back the secret chocolate bar !!!! i was shocked when i saw this website because i thought i was the only person who loved this chocolate sooo much !! i have childhood memories with this chocolate !!! we lovee it !!!!! Used to love dem and had them nearly everyday after school bring dem back!!!!!!!!!!!!!!!!! *BRING IT BACK Please! They were lush! Saturday was our sweetie day and I used to buy one of these for me and one for my dad. No one else seems to remember them! This truly was the most delicious chocolate bar I have ever had. I understand Nestle have confirmed the bar was stopped due to the production costs, however I believe that people would be prepared to pay around 75p to have these bars back. They really are something special! Bring back the secret bar! !